Ukraineb2b. Business in Ukraine: Year of the Dragon - one of the most favorable for business development! 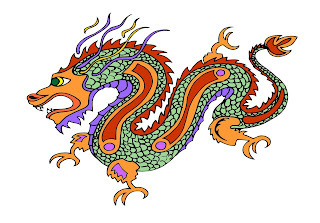 Year of the Dragon - one of the most favorable for business development! New Year came, and thus came into its own Black Water Dragon, who will rule 2012. The symbol of this year is a sign of the most respected in China. Dragon - a mythical character, symbolizing good luck. It is the symbol of emperors, Sons of Heaven. Dragon has a strong-willed character and eccentricity; it is bright and full of vitality. Year of the Dragon - one of the most favorable year for the development of business, because the dragon is a protector of the strong and resolute, he is bold and quick, successful and easy-going. So the coming year will be favorable for enterprising people to start large-scale and strategic projects. Year of the Dragon is very important for us because usually it is time to make the most daring plans. Year of the Dragon is effective for different changes for the better. And for me personally, year of the dragon means a challenge to even more intensive and effective work on business development.